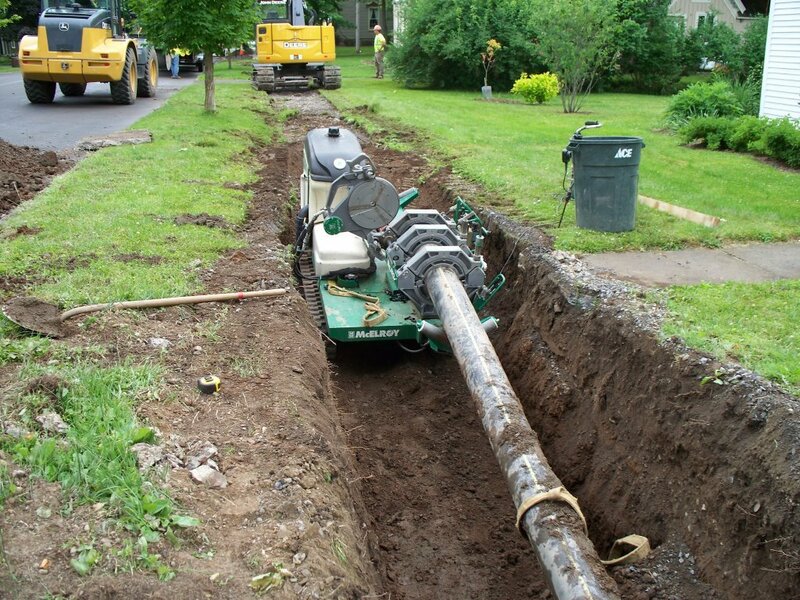 The village of Hamilton New York recently became the third municipal owned Natural Gas Utility in the State of New York! 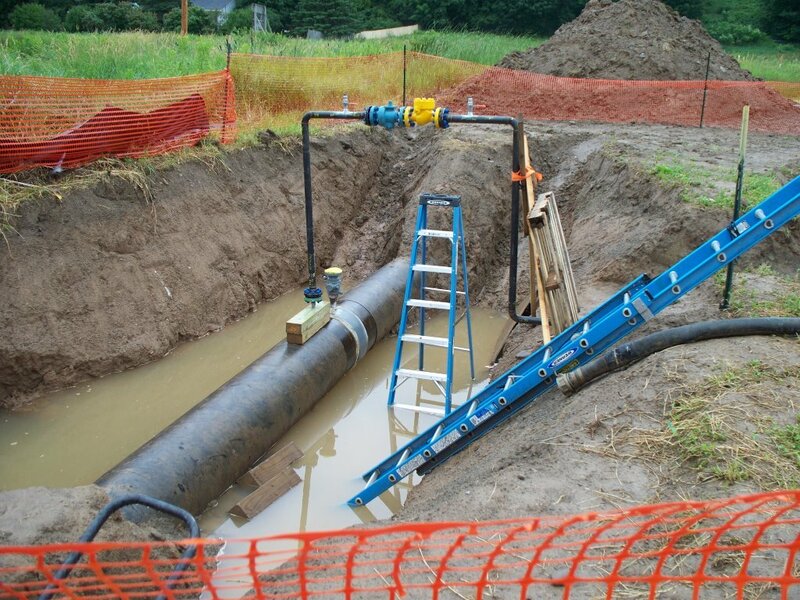 The Village completed a public works project in the fall of 2014 that included the installation of approximately 12 miles of HDPE gas distribution pipe, a "City Gate" station, and several commercial services (piping, regulators, meters) for their large customers. Depot Engineering Services was hired by the Village to perform Construction Inspection and Management Services for the project. The project was divided into three separate contracts that totaled approximately 6.5 million dollars. Depot Engineering Services provided continuous onsite inspection during construction, coordinated and managed weekly construction meetings, processed change orders, reviewed payment applications, and provided a Certified Weld Inspector as required by the NYS Public Service Commission. In addition to the inspections services, Depot Engineering Services also surveyed the entire pipeline during installation utilizing GPS equipment and provided high accuracy as-built maps for the Village. 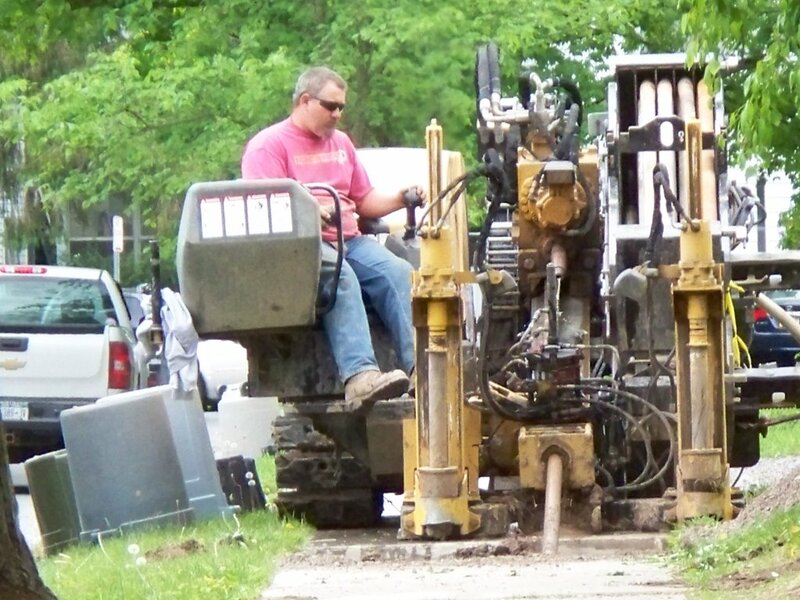 Depot Engineering Services was selected through a competitive Request for Proposal (RFP) process for design services associated with the reconstruction of Lebanon Street for the Village of Hamilton, Madison County, NY. The project included the complete reconstruction of 3,500' of Lebaon St. including sanitary sewer system replacement, new curbs, sidewalk, pavement reconstruction, storm sewers, and restoration. The project was funded utilizing local funds and NYSDOT monies through the "Safe Routes to Schools" program. As such, the project was designed to NYSDOT standards. Depot Engineering Services completed all phases of design including public presentations. Upon completion of the design, Depot Engineering Services was retained to provide construction inspection and administration services during construction. Total project construction costs were 1.6 million. Depot Engineering Services developed site grading & drainage plans for a new AutoZone store located in the Town of Norwich, Chenango County, NY. Depot Engineering Services worked with the Town of Norwich planning department and the NYSDOT to ensure the project met their standards. Plans were developed using AutoCad Civil3D software. A digital model of the site grading was constructed and provided to the contractor for construction of the site. 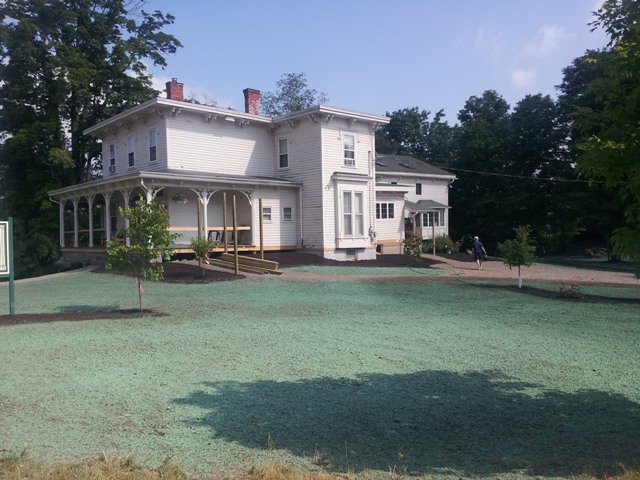 The Water's Edge Bed and Breakfast is located on the bank of the Chenango River in the Town of Greene, Chenango County, NY. 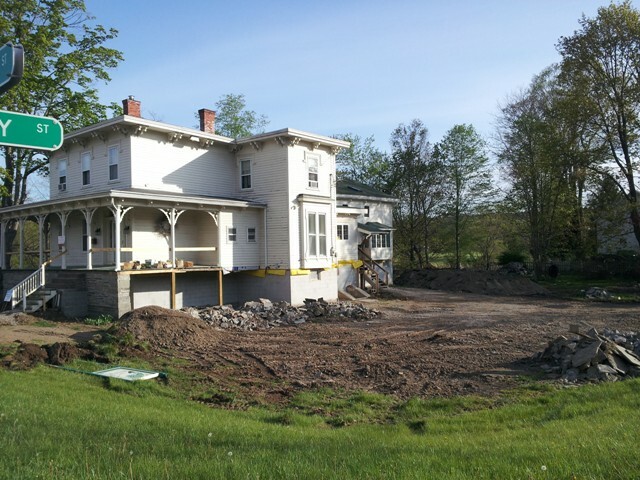 During the floods of 2006 & 2011 the Bed & Breakfast experienced severe flooding. After the flood of 2011 the Owner elected to raise the structure approximately 4' to get above the base flood elevation. Depot Engineering Services was contracted by the Owner to develop a grading plan that would tie the elevated structure into the existing surroundings. Because fill was going to be placed in the flood plain of the river, Depot Engineering Services conducted an hydraulic analysis to show that the fill placed as part of the project would not affect the flood water elevation of surrounding properties. The study was completed to standards established by FEMA and was reviewed and approved by the local authority. Buck Horn Lake Dam is a privately owned dam located in the Town of Unadilla, Otsego County, NY. 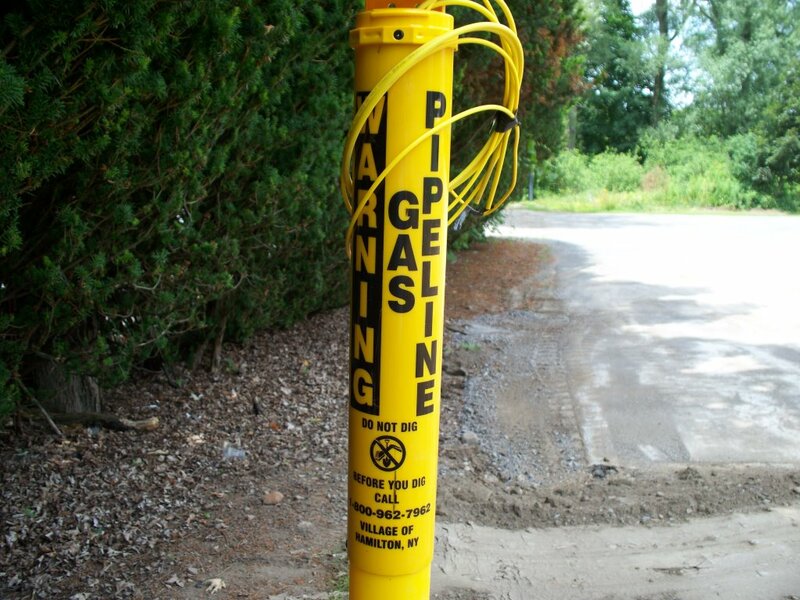 During a routine inspection by the NYSDEC several deficiencies were noted that required addressing. The Buck Horn Lake Association contracted with Depot Engineering Services to develop a project to correct the deficiencies noted. Depot Engineering Services developed a set of project plans and specifications that were used to obtain quotes from local contractors to perform the work. Work generally included removal of vegetation along the dam embankment, rehabilitation of the concrete spillway, correction of some local erosion issues, and the elimination of the low flow device due to structural instability. Project plans and a design report were provided to NYSDEC for approval prior to starting work. In addition to the repairs, Depot Engineering Services teamed up with one of our trusted consultants to perform a hydraulic & hydrological analysis of the down stream area of the dam and reduce the dam hazard classification. Sundown Golf Course is a 9-hole course located in the Town of Guilford, Chenango County, NY. The course was recently purchased by new owners who began to make much needed improvements to the facilities. One improvement was the construction of a brand new club house and banquet hall. Depot Engineering Services developed building plans that were submitted to the local authority for design approval and the issuance of a building permit. In addition to the building plans, Depot Engineering Services designed an on-site commercial sewerage system. Poor onsite soil conditions, project located in the Chesapeake Bay watershed, and aesthetic constraints were some of the challenges that needed to be overcome by the design. Depot Engineering Services worked with the NYSDEC, the Chenango County Department of Health and the owner to design a system that met all requirements yet was aesthetically pleasing and easy to maintain.